The MK98860 is a folding table from Carl Hansen designed in 1960 by Mogens Koch. Like the famous folding chair by Koch, the folding table is characterised by quality, timeless design and a high degree of functionality. The surface of the table is made of solid wood, which gives it a natural appearance, as well as a robust structure. The wooden base is equipped with small hinges and can be folded up within seconds. This feature also allows the height of the table to be adjusted between 46.5 cm and 35 cm. It is therefore suitable as a flat coffee table, but also as a classic side table next to the sofa. 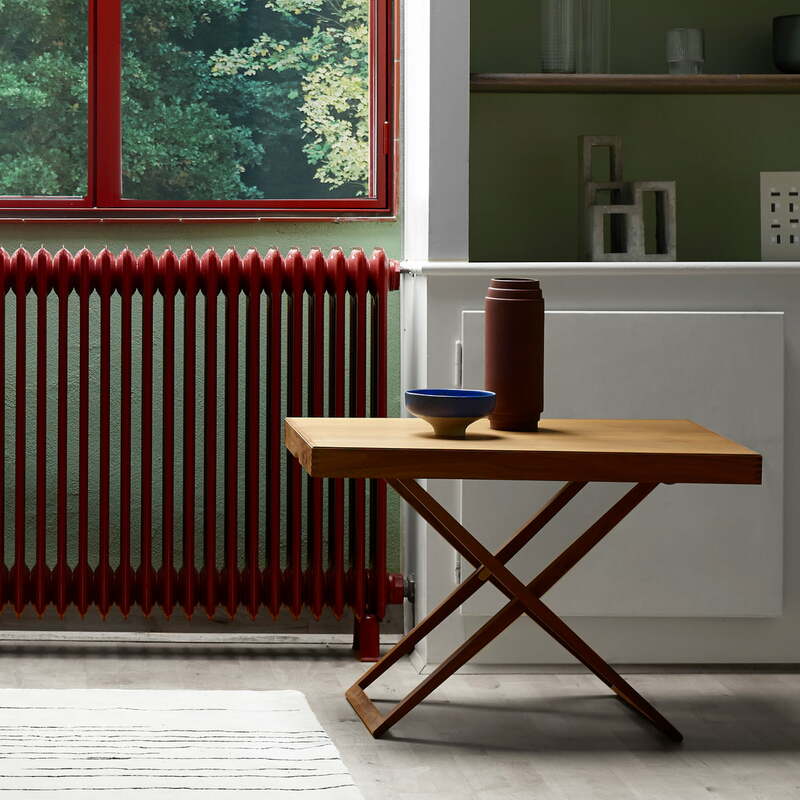 Particularly useful in small apartments, the table can be stowed-away in a space-saving way. Fitted with with a full-grain leather strap, it is also possible to hang the table stylishly to the wall. Details Height adjustable to 46.5 cm and 35 cm. 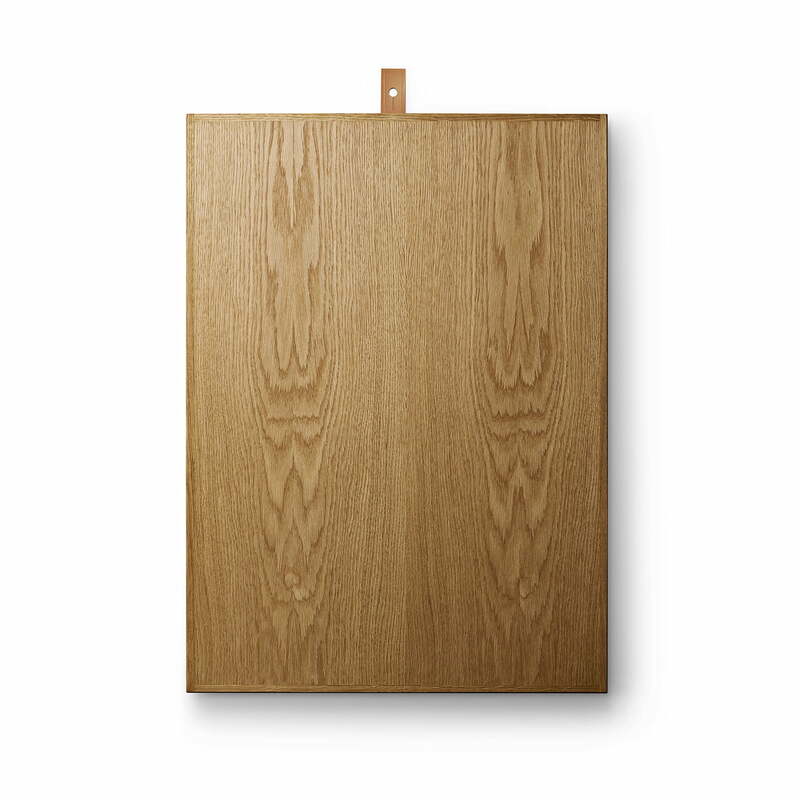 Isolated product image of the Carl Hansen - MK98860 Folding Table, 71,5 x 52.5 cm, oak. The MK98860 is a folding table from Carl Hansen designed in 1960 by Mogens Koch. Like the famous folding chair by Koch, the folding table is characterised by quality, timeless design and a high degree of functionality. Detailed product image of the Carl Hansen - MK98860 folding table. The surface of the table is made of solid wood, which gives it a natural appearance, as well as a robust structure. 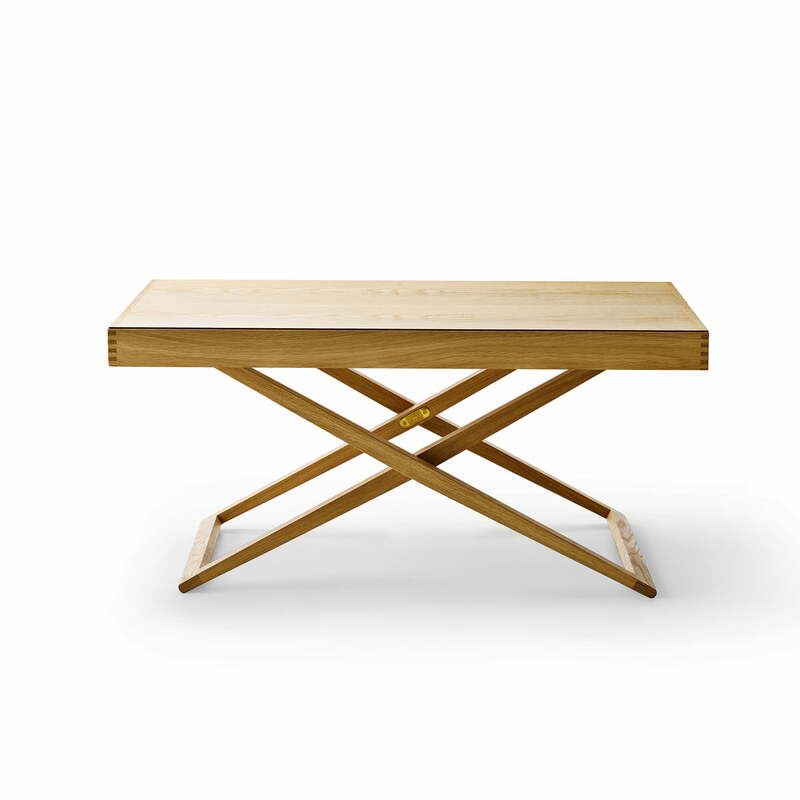 Isolated product image of the Carl Hansen - MK98860 folding table. In its folded state, the table can be stored in a space-saving way until it is needed next. 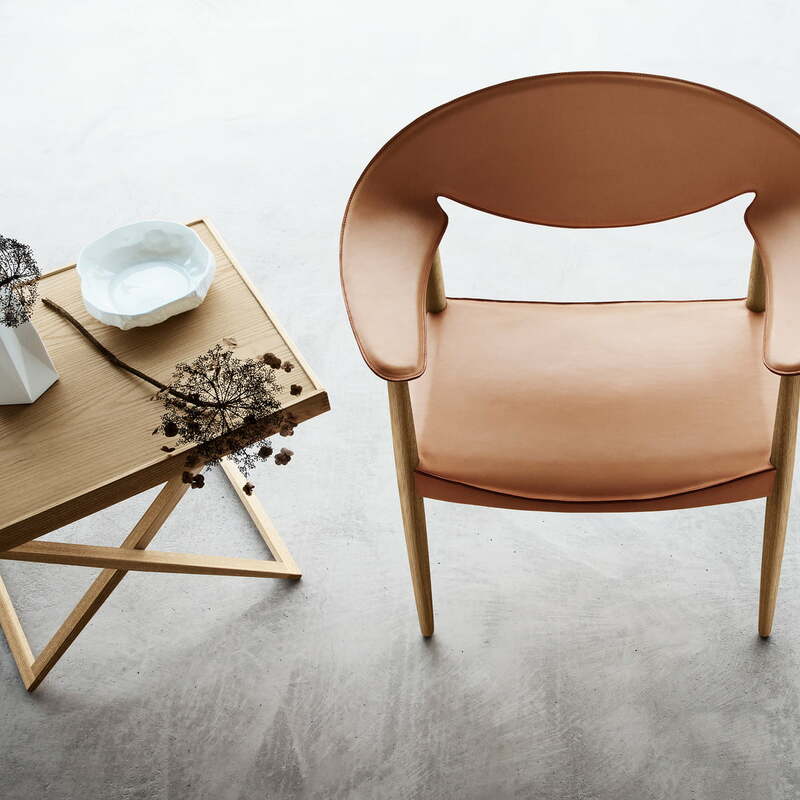 Lifestyle product image of the Carl Hansen - MK98860 folding table. 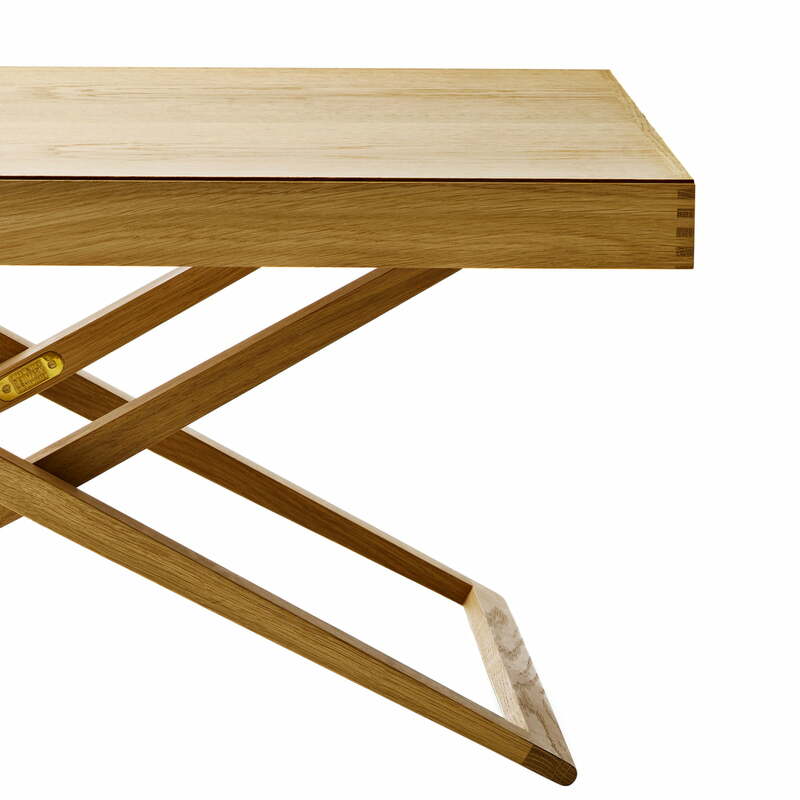 The stylish and versatile folding table is particularly useful for breakfast in bed. Lifestyle product image of the Carl Hansen - MK98860 folding table. 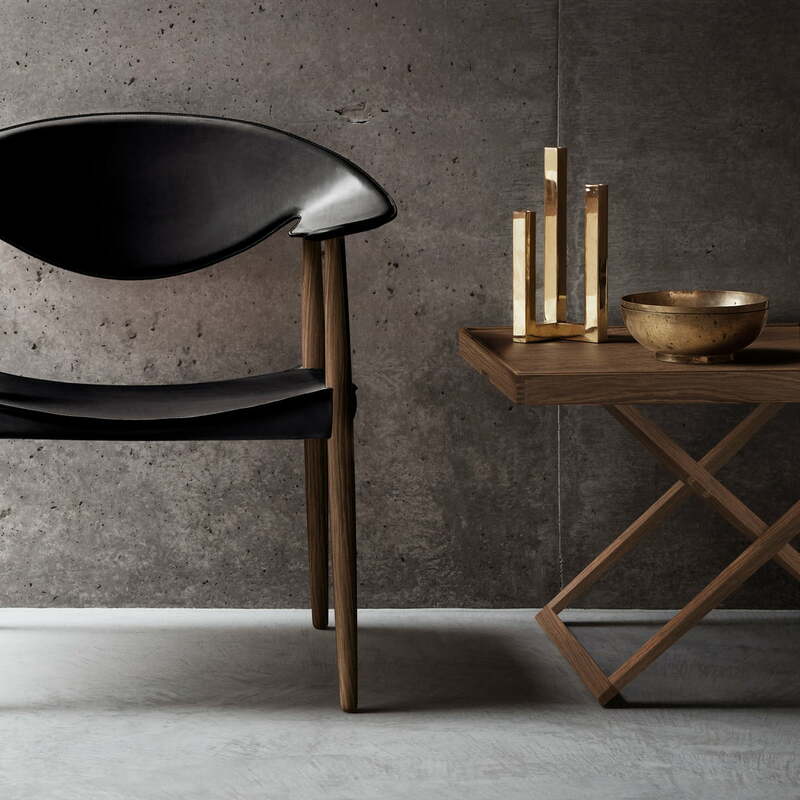 Together with the LM92 chair, a stylish ensemble made from natural materials can be created. Lifestyle product image of the Carl Hansen - MK98860 folding table. The stylish side table can also be used as a decorative item that enhances any environment. 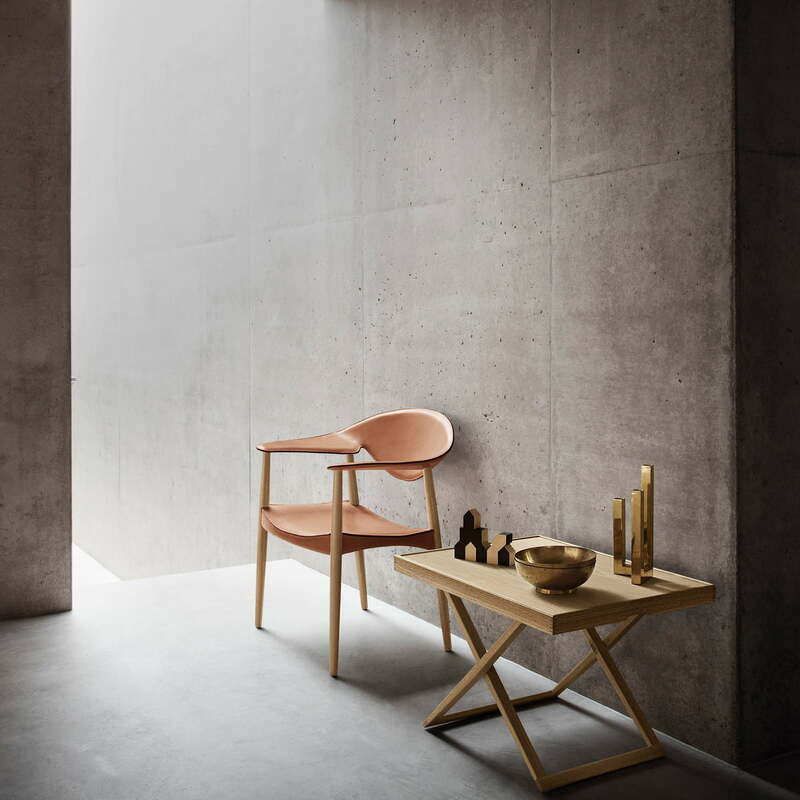 Lifestyle product image of the Carl Hansen - MK98860 folding table. This feature also allows the height of the table to be adjusted between 46.5 cm and 35 cm. It is therefore suitable as a flat coffee table, but also as a classic side table next to the sofa.